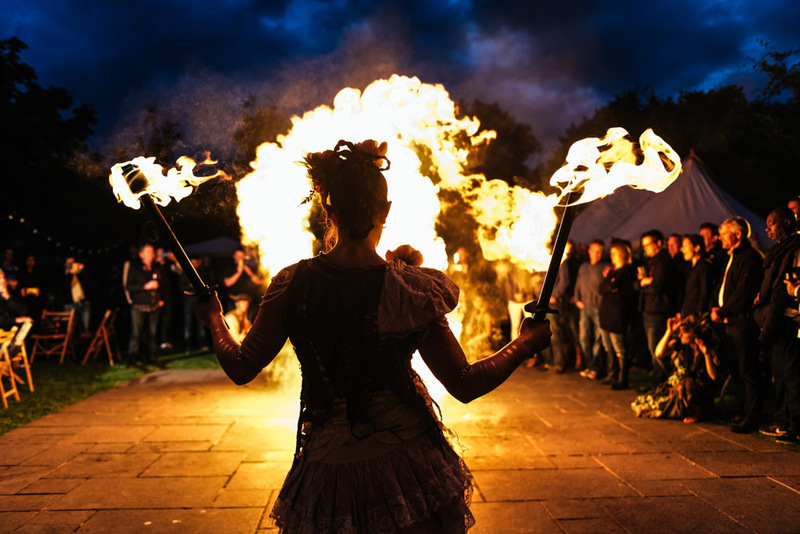 The Fire Elves perform a highly energetic and visual show featuring martial arts, dance, special effects and fire prop manipulation. 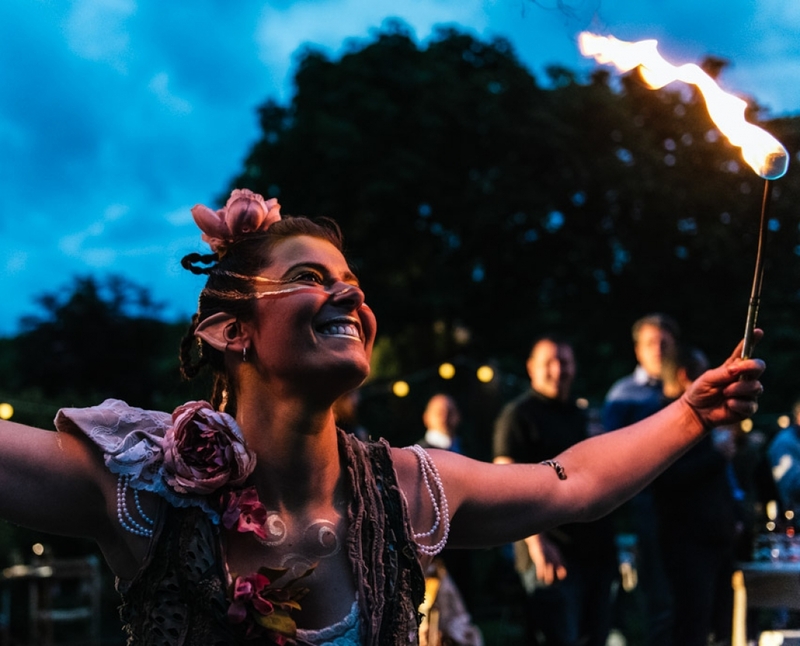 Playful acrobatics, handstands, faerie wands and fire tricks are also included in the performance to the background music of the event. The performance is designed to add a mystical beauty to the atmosphere of the evening. The Elves are ideal for garden parties, weddings, corporate events and outdoor celebrations. "I was taken aback by the skill level you're bringing to the stage." "I honestly can't put into words quite how amazing it was!" "They kept our 5000 attendees on the edge of their seats!"